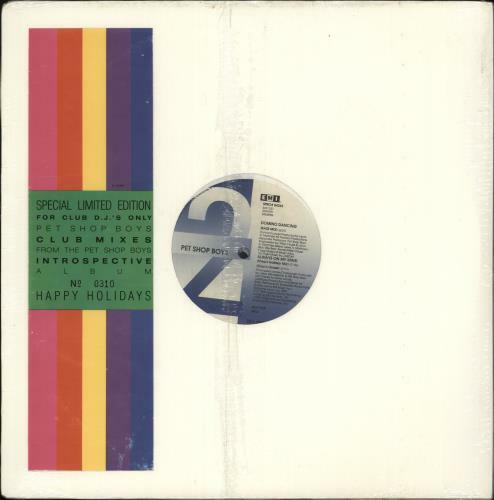 PET SHOP BOYS Introspective (Rare 1988 US 9-track promotional triple vinyl 12" set including Devices Shep Pettibone Mix and Device Mix, Always On My Mind Shep's Holiday Mix, Shep's House & In My House Mix and Domino Dancing Base Remix. Each 12" comes in their own die-cut card sleeve and this copy is still factory sealed with the original numbered stripey title sticker on the front, therefore mint and unplayed! SPRO04231).